At least eight camps of the rebel Allied Democratic Forces (ADF) in the Democratic Republic of Congo (DRC) were reportedly destroyed, and more than 100 ADF fighters killed, in recent joint airstrikes in an operation "TUUGO". This was after Uganda Peoples Defence Forces (UPDF) teamed up with the Congolese National Army (FARDC), in pursuing the ADF rebels operating in DRC. In a statement released Thursday morning, Ugandan army spokesperson Brigadier Richard Karemire announced that “these were ADF historical strongholds in Eastern DRC in general areas of Erengeti Triangle - North Kivu Province. They are Medina, Canada, Abia, Topoke 2, Kajaju, Camp Richard, Makayoba and Sangote". 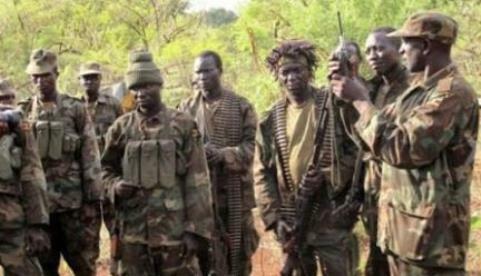 According to Brigadier Karemire, more than 100 ADF fighters were killed in the air-strikes on the ADF positions and several others were injured. He added that the UPDF is maintaining active defensive operations along the border in the districts of Kasese, Bundibugyo and Ntoroko to deter any terrorists from sneaking into Ugandan territory. “Should they attempt to attack our border villages, UPDF shall not hesitate to pursue them to wherever they will have come from”, Karemire warned. The operations spokesman, Major Ronald Kakurungu, said the UPDF are not in Congo, but applying air raids to hit the ADF bases. On December 7, 2017 suspected ADF fighters overran a UN base in Semuliki near Beni in North Kivu Province killing at least 14 UN troops and five Congolese soldiers. In the 1990s, the ADF rebels terrorized Uganda’s Rwenzori region in the districts of Kasese, Bundibugyo and Kabarole for almost 10 years. During the insurgency, they are believed to have killed more than 3,000 people and displaced 100,000. The rebels were subsequently repulsed and they relocated to the DRC. The rebel group is estimated to have between 700 to 900 fighters. Reports indicate that they are still very active in the DRC and pose an enormous threat in the area.